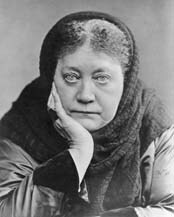 Helena Petrovna Blavatsky, principal founder of the Theosophical Society, was largely responsible for introducing Eastern religious philosophy to the Western world. Though many associate her primarily with psychic powers and phenomena, the spiritual ideas expressed in her voluminous writings have been a source of inspiration to philosophers, scientists, writers, artists, and truth-seekers all over the world. As her father was ordered from one garrison town to another, often moving his family with him, Helena came in contact with a great many different peoples and cultures. She had a passion for all kinds of legends and traditional wisdom, "which she would devour night and day as long as the impulse lasted." (2) There were long periods when she had free access to the enormous library of her maternal grandparents, Princess Helena Dolgorukova and Governor Andrey de Fadeyev. This included hundreds of books on philosophy and esoteric science. These prolonged sojourns with her grandparents were mostly due to her mother's failing health. Helena Petrovna was only 11 years old when her mother died, after which she and her younger sister and brother were raised by their grandmother in the governor's mansion in Saratov. It was here that Helena immersed herself in a metaphysical world that surpassed anything she had read. Her sister Vera relates that Helena could sense the natural history of an area and would describe her visions, which were "clear, vivid, and as palpable as life to her!" (3) There were also times when she sensed a presence that would guide her and keep her safe from harm. Later she would recognize this presence as her Master, and her connection with him became a dominant influence on her inner life. Her sensitivity grew stronger as she and her family traveled nearly a thousand miles to the south, where her grandfather assumed his new position as state treasurer of Tiflis. Here, at the age of 16, Helena began living what she called "a double existence, mysterious, incomprehensible even to myself." (4) Outwardly she was impetuous, willful, rebellious, and even mischievous. But inwardly she was preoccupied with the mysteries of Being. Such a distinctly dual nature involved her in some highly distressful situations. Her first major crisis came at the age of 17 when, acting on a dare, she induced the vice-governor of Erivan to propose to her. Nikifor Blavatsky was more than twice her age, and although she was obliged to go through with the marriage, she was determined never to let it be consummated. After three months of violent quarrels and frustrated attempts to leave him, she finally succeeded in escaping to her grandmother. Her family then made an arrangement with her father that she should be sent to join him at Odessa. But Helena longed to be free to explore the world in search of the unknown. Purposely missing the steamer to Odessa, she soon managed to leave Russia and set off on her own. Finally in England in 1851 she wrote in her sketchbook, "I met M [symbol] the Master of my dreams!!" (6) She would later reveal that this was the Indian Master who had watched over her since her childhood, and "he required her cooperation in a work which he was about to undertake. He then told her how The Theosophical Society was to be formed, and wished her to be the founder." (7) There are conflicting accounts as to the date and place of this meeting, but when H.P.B. resumed her travels she appeared to be driven to gain firsthand knowledge of the world's spiritual traditions and philosophies. During the next seven years she journeyed through North and South America, India, and Tibet. In the West she studied Native American wisdom, Voodoo, and ancient American civilizations. Sailing to India, she traveled there extensively for nearly two years. During this time she tried to enter Tibet through Nepal, but was not allowed to cross the border. Her next attempt would not come until she had made another three-year trip around the world. Returning to India in 1856, she succeeded in entering Tibet through Kashmir in the company of a Tartar shaman. Some of her adventures during this period she described in Isis Unveiled and later in a series of Russian articles which were eventually translated into English and published as From the Caves and Jungles of Hindostan. HPB's main object in entering Tibet was to join her Master at his retreat in Tashilhunpo, much farther to the east. She was unable to do this before she had to return to India. Then, shortly before the Sepoy Mutiny in 1857, her Master directed her to leave the country. When HPB returned to Russia in 1858, she aroused much amazement. Wherever she went, there were audible and visible manifestations. Staying with relatives and friends in various parts of the country, she assured them that she was not a medium, "but only a mediator between mortals and beings we knew nothing about." (8) With the help of these beings, she astonished friends and acquaintances by disclosing their unexpressed thoughts, precipitating notes and letters, generating musical tones, making objects move from a distance, or making them immovable. Yet there were many skeptics who were eager to challenge her ability. Time after time she submitted to their tests, only to be misunderstood, doubted, and even ridiculed. Though she accepted such abuse in good humor, the misuse of her energies eventually took its toll on her health. Less than a year after she returned to Russia, she fell gravely ill and remained in a deathlike trance for several days. Four years later she contracted another illness even more serious than before. On both occasions she experienced a sudden and mysterious cure. The second illness coincided with a remarkable change in her development, for afterwards she freed herself from the spontaneous manifestations of elementals. She was now able to stop their phenomena at will and bring them entirely under her own control. In 1865 HPB felt the need to continue her travels. Again she journeyed through the Middle East and the Balkans, this time on her way to war-torn Italy. There, in 1867, she was wounded at the Battle of Mentana and, after recovering from her wounds, she was directed by her Master to proceed to India. This time she succeeded in reaching her Master Morya's retreat in Tashilhunpo, a Tibetan center of monasteries and colleges. Here she met her Master's colleague, the Mahatma Koot Hoomi, who also became her teacher. HPB studied with them for almost three years, learning to read and translate the most sacred Tibetan and Senzar texts into English. Among these were "The Book of the Golden Precepts," from which she later translated fragments as The Voice of the Silence, and "The Book of Dzyan," the stanzas that form the basis for her masterwork The Secret Doctrine. The following year was a time of waiting, spent mostly with her family in Russia, and briefly with a cousin in Paris. But soon after HPB's arrival in Paris, she was directed by her teacher to go to America. Her first opportunity came the year after her arrival in New York, when she read a series of newspaper articles by Colonel Henry S. Olcott, a New York attorney reporting on the manifestations that were taking place at the home of the Eddy brothers in Chittenden, Vermont. Meeting Olcott at the Eddy Homestead, HPB tried to show him that these apparitions were not the true spirits of the dead, but only materializations of lower astral entities. In the following months, as the Eddy brothers and other mediums were accused of trickery in the Press, HPB wrote letters and articles in their defense. She also continued her association with Olcott in New York, and through their writings they began to attract other like-minded inquirers. One of those who met HPB through Olcott was a young attorney named William Q. Judge, and soon she was teaching them both the "true Spiritualism" of the wisdom religion. These three became the principal founders of the Theosophical Society, which was established in the fall of 1875. By this time a group of serious students were holding discussions in HPB's apartment, and it was decided to form a society that would study "the esoteric philosophies of ancient times" and share the fruit of this research with the public. It was also advocated that members aspire towards unselfish devotion in the search for truth, as well as purity of life and thought. HPB's official title in the Society was Corresponding Secretary. Leaving the administrative work to Olcott and others, she devoted her energies principally to writing. Her letters and articles were now dealing with occultism and the esoteric sciences, and much of what she wrote was inspired by her teachers. It was also during this period that she was engaged in writing her first book, Isis Unveiled. This would become a monumental work on ancient and modern science and theology, and it consumed most of her time for the next two years. When it was published in 1877 it was an immediate success, far surpassing anyone's expectations. After the TS had been established in the U.S., it was decided to move the headquarters of the Theosophical Society to India. Arriving in Bombay in 1879, HPB and Olcott established their headquarters in the Indian quarter where Europeans were seldom seen.From the very beginning it was apparent that HPB regarded Hindus, Buddhists, Moslems, and Parsis alike with fraternal affection. Her reverence for their religious traditions was made abundantly clear in her letters and articles, which were published in various Indian journals. As these were "heathen" religions in the eyes of the English missionaries, she and her fellow Theosophists were continually attacked in the Christian press. She was accused of hating Christians, of immorality, and even of spying for the Russian government. Five months after their arrival in Bombay, the TS began publishing its own journal, The Theosophist, with HPB as editor. She described it as a repository for all that relates to occultism, as well as "an organ through which the native scholars of the East could communicate their learning to the Western world" — not as propaganda for any particular religion, but as "the paper representing the whole Theosophical Society, or Universal Brotherhood." (12) She also made the magazine a forum for the promotion of religious freedom, the rights of the underprivileged classes (especially women, children, and outcasts), and the right of all native peoples to educate themselves in their own traditional language and culture. HPB's continued efforts to advance these causes would have a tremendous influence on society in both India and Ceylon and would eventually lead to a great cultural and religious revival. 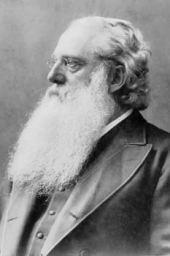 In December 1879 HPB and Olcott went to Northern India to visit A. P. Sinnett, the editor of an influential Anglo-Indian newspaper, The Pioneer. Sinnett had seen mediumistic phenomena in London and was interested in the occult laws that govern such manifestations. HPB became a good friend of both him and his wife, who soon joined the TS. Presenting this ancient philosophy had always been HPB's mission, and as she realized that most inquirers were attracted by her phenomena and were much less interested in the wisdom tradition of her teachers, she came to emphasize the philosophical and ethical teachings more and more. To promulgate these teachings, she and Olcott continued to travel extensively throughout India and Ceylon. Hundreds of public meetings and discussions were held, unprecedented gatherings of Asians and Europeans of different religious backgrounds, and in the space of just a few years there were dozens of new theosophical lodges. For HPB, however, the constant strain of traveling and working in a tropical climate gradually undermined her health. In the fall of 1882 she developed chronic inflammation of the kidneys with severe hypertension and edema. Though her condition was greatly improved under the care of her Masters, it began to deteriorate toward the end of the next year while she was living at the new TS headquarters in Madras in Southern India. Her doctors warned her that she would die unless she went to recuperate in a cooler climate, so in early 1884 arrangements were made for Olcott to accompany her to France. When the headquarters staff had made the move to Madras in December 1882, two of its members were Emma and Alexis Coulomb, the housekeeper and the handyman. Just before HPB left for Europe, she reprimanded Madame Coulomb for trying to extort money from a wealthy member of the TS. Madame Coulomb resented this so much that she swore to revenge herself on HPB (see "HPB and the Society for Psychial Research" for details of the case). When Christian missionaries published letters supplied by the Coulombs, allegedly written by HPB, the British press concluded that HPB had been exposed as a fraud, which was also the conclusion of the Psychical Research Society's committee investigating HPB's phenomena, based largely on the report of one of its members, Richard Hodgson. HPB returned to Madras at the end of 1884, determined to defend her teachers and theosophy. But a TS committee of lawyers, judges, and influential Hindu members resolved that Hodgson and the Coulombs should not be prosecuted because the trial would result in the Masters being further ridiculed, and because occult phenomena could not be proved in court. This decision made HPB sick at heart, and she soon became so seriously ill that her doctors gave her up. Once again she was saved from death by her Master, but she remained in such precarious health that she resigned as Corresponding Secretary and was persuaded to leave India for Europe, to complete The Secret Doctrine and, if possible, to regain her health. HPB was now resolved to continue working on the new book she had only just started when she and Olcott first came to India. She knew she had barely sketched the wisdom teachings in Isis Unveiled, and felt it was time to go into them more deeply and also to correct various misconceptions about them. But initially her living conditions in Europe made writing difficult and sporadic. These problems were largely solved when she moved to Wurzburg and was joined by Countess Constance Wachtmeister, who became her personal secretary and companion. With her help HPB was able to write long hours without interruption. At the end of 1885 she received a copy of the SPR's Proceedings, in which Hodgson accused her of being a Russian spy and an impostor who invented the Mahatmas and forged their letters. Unable to take legal action to disprove these charges, she became all the more determined to make The Secret Doctrine a masterwork that would vindicate herself and her Teachers. As the book progressed, she began sharing sections of the manuscript with a number of scholars and devoted students of theosophy, and many of these became enthusiastic supporters of her work. This number grew considerably after she moved to Ostend, Belgium, in the summer of 1886, making it much easier for members of the London Lodge to visit her across the Channel. These became some of her most ardent supporters, and they soon urged her to make her headquarters in London. 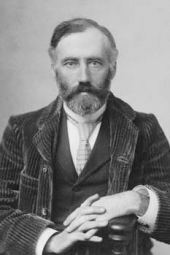 Since the many hundreds of quotations in The Secret Doctrine could be checked more easily in the British Museum, and there were members who could help in the preparation of the book, HPB agreed to come to London in 1887. Her affairs in England were organized by Dr. Archibald Keightley and his nephew Bertram Keightley. It was to them that HPB entrusted the entire manuscript of The Secret Doctrine, which at that time was a pile of detached sections over three feet high without any definite arrangement. For the next several months the Keightleys read, re-read, copied, and corrected thousands of pages, devised a way for HPB to write commentaries on the Stanzas of Dzyan, and suggested a plan to organize the book as a whole. This deep-felt concern of HPB for the future of the TS working for the brotherhood of humanity was the principal reason for writing The Secret Doctrine. When it was published in 1888, she dedicated it "to all true theosophists in every country and of every race, for they called it forth." Its purpose was to present the ancient truths which form the basis of all religions, science, and philosophy, and to show how all of life is informed by one Divine Principle. It remains the most comprehensive sourcebook of its kind, stimulating both the intellect and the intuition with its vision of spiritual unity. At the time of her passing, divisive forces were still at work which would soon cause a split in the Theosophical Society. Yet this was also in line with the wisdom-tradition taught by her Teachers, whereby personality conflicts are used as a means of self-discovery. Blavatsky's entire life can be seen as a catalyst for this, precisely because her character struck so many as imperfect and often troublesome. Even now it remains an integral part of her legacy, for "it drives men to self-study and destroys in them blind servility for persons." (20) To understand her we are forced not to judge her by appearances, not to accept any authority above our own inner touchstone of truth. And when we touch this inner source, the study of her writings leads us ever closer to the brotherhood of life: to the Self we share with all our fellow beings. Cranston, Sylvia., H.P.B. : The Extraordinary Life & Influence of Helena Blavatsky, Putnam, New York, 1993. Ryan, Charles J., H. P. Blavatsky and the Theosophical Movement, Theosophical University Press, Pasadena, 1975. Van Mater, Kirby, "The Writing of The Secret Doctrine," An Invitation to The Secret Doctrine, Theosophical University Press, Pasadena, 1988.